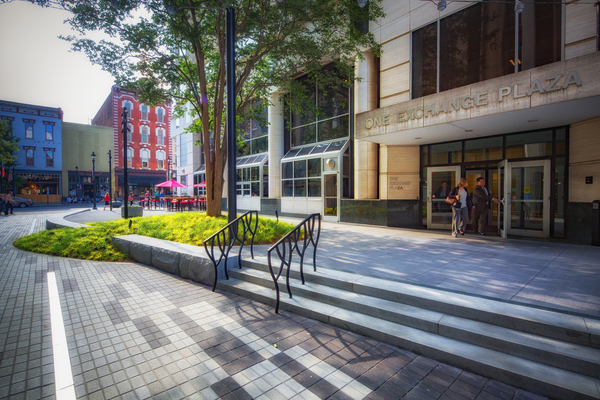 Market and Exchange Plazas connect Fayetteville and Wilmington Streets to the Moore Square Transit Station in downtown Raleigh. These pedestrian plazas, built in the 1960’s, were in disrepair. 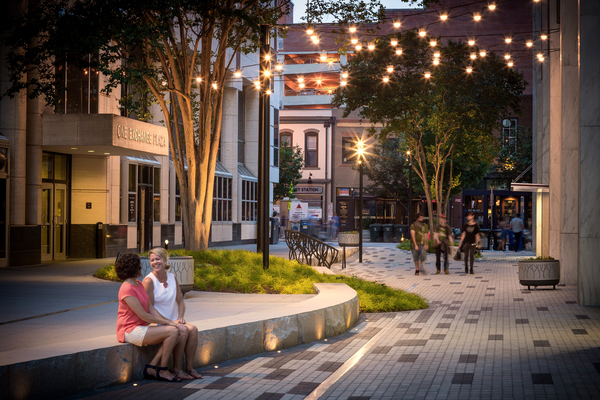 When the highly successful redevelopment of Fayetteville Street revitalized downtown, Raleigh wanted to build upon that success by investing in these adjoining plazas. 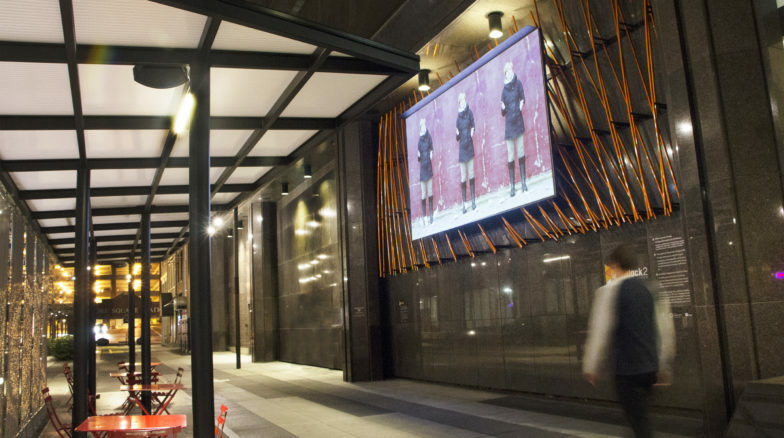 Surface 678’s design compliments Market & Exchange Plaza’s architectural elements. 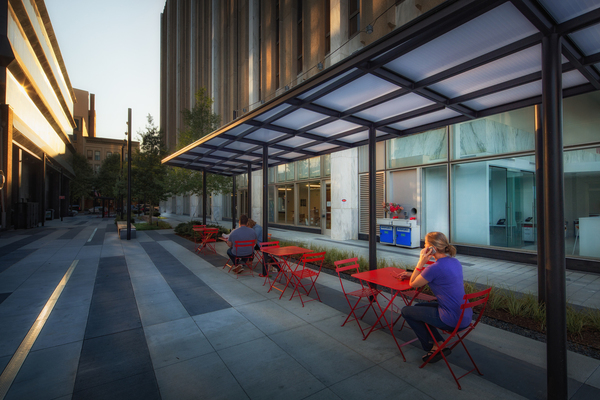 We provided outdoor seating for nearby restaurants as well as needed public seating. 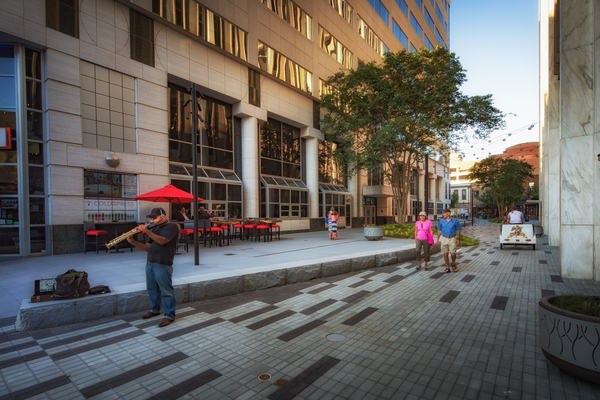 Because visibility was a key concern for users of the old plazas, the new design trims back existing greenery, allowing pedestrians to see through the plaza and feel safe. 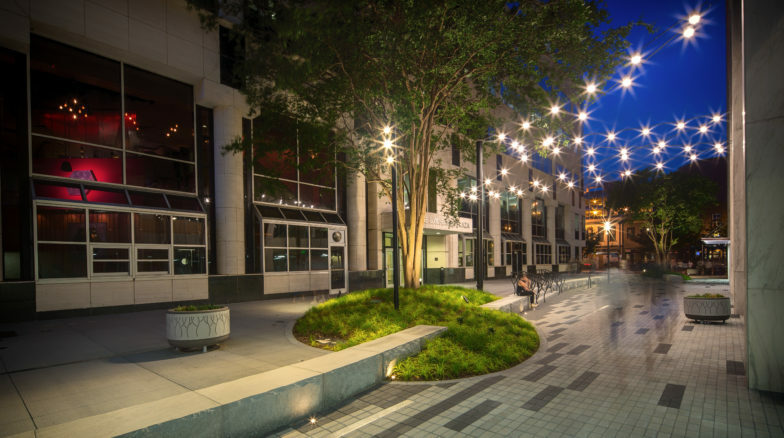 Extensive lighting makes the spaces feel comfortable and friendly during nighttime use. Flanked by ground-floor businesses that are key stakeholders, the plaza designs respond to various uses and are individual in character. 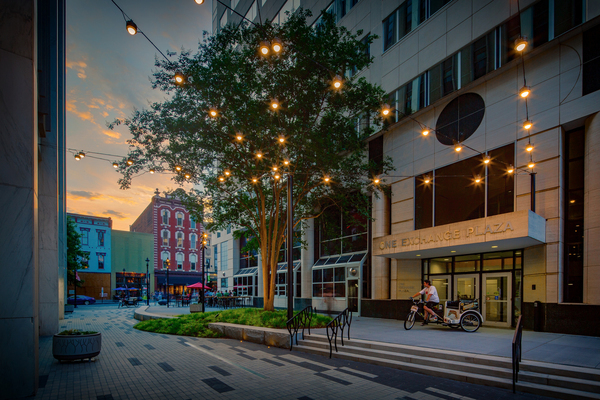 Market Plaza is designed to accommodate pop-up retail, while Exchange Plaza is designed with business and restaurant flair. 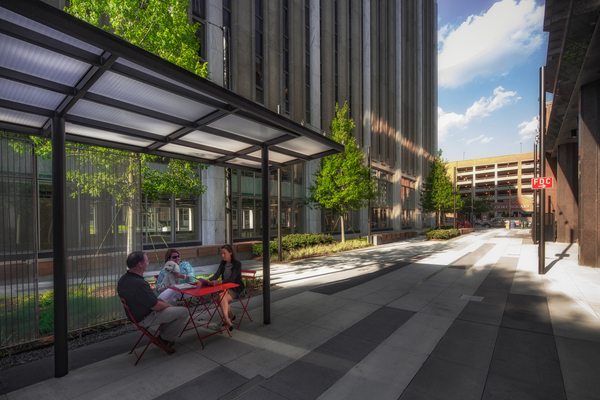 Because both spaces can be viewed at the same time, the two plazas are designed as a cohesive whole. Additional design challenges included shallow underground utilities above occupied space, on-site storm water mitigation, and flexible site programming.